We had a board meeting on Thursday, April 6th and talked about many items. The auction on March 11 was a success. We are still tallying costs. It seems way may have made less than last year but it was a fantastic time. If you did not make it this year, come next year!! In other news, we opened a designated Sensei Fund account as a just in case insurance policy to help ensure the future of our program with our Sensei. April is a busy month at Rosa Parks! 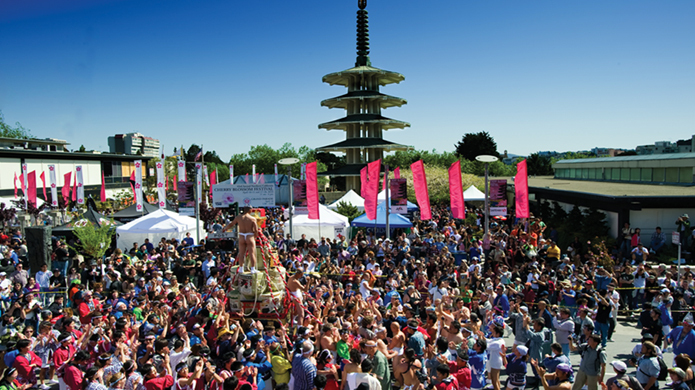 Roll up your sleeves and help with the Cherry Blossom parade festivities. Come pop popcorn, sell popcorn at the booth, help with the parade and march in the parade over the next 2 weekends. We need your help! Sign up on the events page! The students visiting from Japan were well loved during their stay and had a great influence on our students. They performed for the school, they inspired the 4th and 5th graders to clean, students in all grades wanted the visitors to stay in their classes and the host families said very kind things. The next general meeting is May 4th at 8 am in the cafeteria. There will be coffee and pastries or bagels. Come join us!